Genesee Regional Bank is a Rochester-based, Rochester-focused community bank dedicated to helping businesses and individuals across our community grow and prosper. 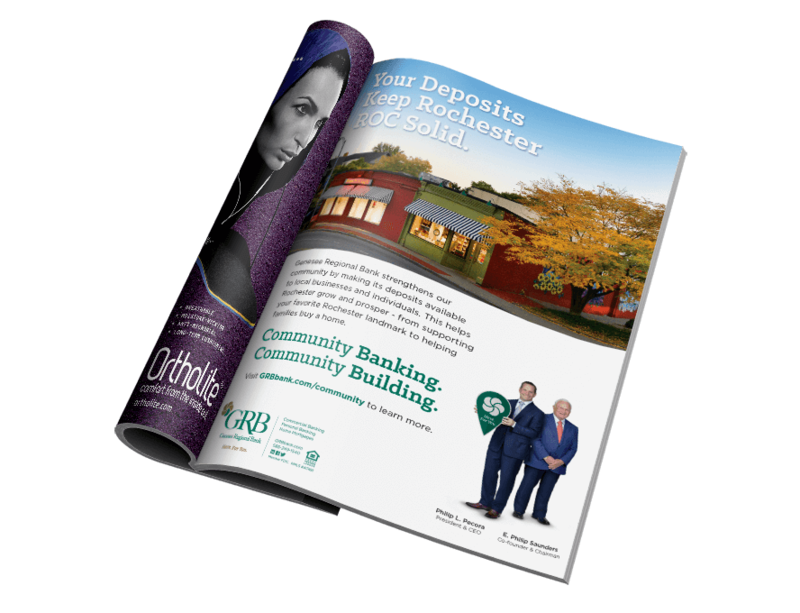 Mason Marketing, working closely with Mason Digital, developed a comprehensive integrated marketing campaign demonstrating the bank’s unique approach to supporting the banking needs of businesses and individuals while reinforcing GRB’s commitment to reinvesting deposits in the local community. Mason created the Community Banking. Community Building. 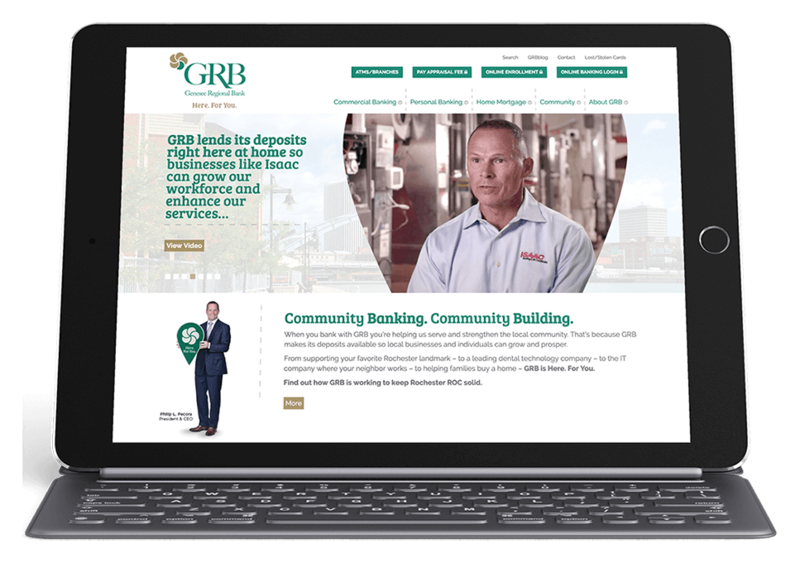 campaign leveraging the bank’s relationship with successful local companies and individuals who acknowledged the important role GRB played in their business and the community at large. Television ads were created to launch the campaign, supported by radio, print, and digital marketing including pre-roll video, paid social media including LinkedIn, Facebook, as well as retargeting. 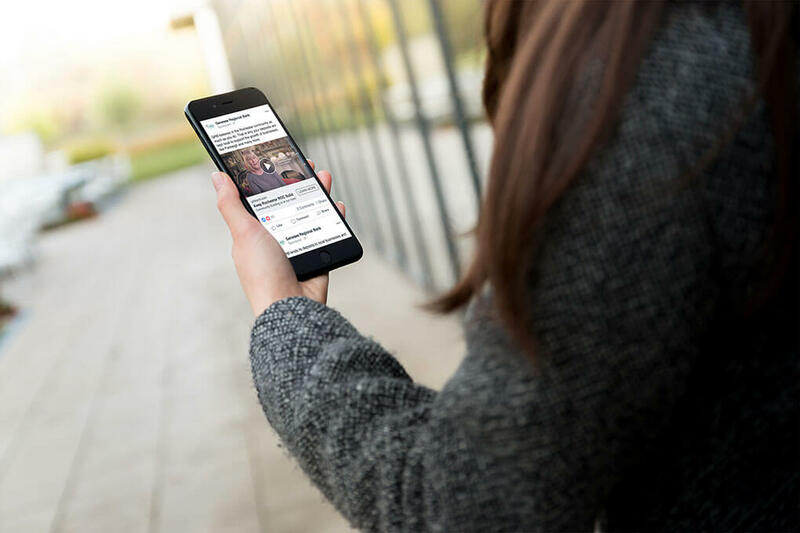 Comprehensive reporting of website and digital marketing activity showed considerable engagement with the campaign – measured by impressions, website traffic, video views, social media engagements, and overall actions by those exposed to the campaign.